I donated to Tess’s War on Alzheimer’s, to memorialize my parents and write about how I published my new book, The Way of the Bodyguard. My mother endured Alzheimer’s for years in New Zealand and the effects were devastating to our family. First, I have to thank Tess and Joe. I have been reading Joe’s blog for some time and learned a lot about publishing. Although from my experience of releasing “The Way of the Bodyguard”, I have a lot to discover. For Father’s Day I wrote a piece on my blog about my Father and his survival in Burma during World War II. I am editing his war memoir, “Reluctant Q”. My father, as Brigade Quartermaster, was the highest-ranking NCO survivor in the Forgotten Fourteenth Army, to walk out of Burma and India after VJ Day. The e-book will be published later this summer. My father died three years ago, just before his 98th birthday. He had been very fit and robust. I thought my Father was tough, but my Mother was tougher. She never let me take a sick day off. If I vomited in front of her, she would say, “You feel better? Now you can bike to school.” It was a 5-mile ride and it would be raining. I never missed a day of school. “Nobody died of hard work”, was one of her favorite sayings. When she was ultimately diagnosed with Alzheimer’s, she had been picked up by a truck driver in her nightgown wandering the streets, broken a chair over Father’s head and knocked him down with a mean right jab. Mother lived for another 12 years in a well run Rest Home in New Zealand. She was the longest surviving Alzheimer’s’ patient. She was too tough to die. 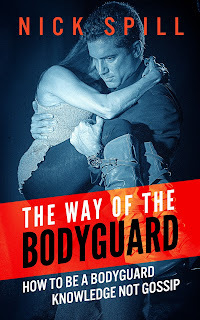 Following Joe Konrath’s blog, I independently published “The Way of the Bodyguard” drawing on my experience as a bodyguard around the world, protecting the famous, the anonymous and the threatened. The process took over 10 years of writing and thinking how to present a lot of intimate, violent and embarrassing information in a way that would not reveal any names of clients. The subtitle to the book is “How to be a Bodyguard - Knowledge not Gossip”. I detest all these gossip TV shows and magazines obsessed with celebrities, knowing from first hand experience that what they report is usually very inaccurate. There is so much more to bodyguard work than just catering to and protecting so called celebrities and I wanted to make that clear. The Way of the Bodyguard explores how to be a bodyguard, protect your client and explains the mental and physical skills that translate to all professions. If you worked for me on a bodyguard detail you would know what I was like. Failure on your mission was not allowed. The only excuse was if you had died and then I needed to see a note from the morgue that you had to hand deliver. A sense of humor is a requisite to be a good bodyguard, although it is a serious profession, maybe the toughest, as you might have to give up your life to protect your client. It is all explained in my book, so if you are curious about what it is like to be a bodyguard, want to become one or seek to escape into a world of unknown threats and logistical challenges, there is much to explore in The Way of the Bodyguard, available exclusively on Amazon. $4.99. As part of my marketing plan for the release of “The Way of the Bodyguard”, I gave the book away for free for three days. I launched a massive email and Facebook and phone call campaign. My wife contacted everyone she knew and got them to download a copy from Amazon, even if they had no reading tablet. I think everyone we knew downloaded it for free. I was overjoyed when I was rated # 2 bestseller in the most obscure category, Eastern Philosophy, for at least an entire day! Sun Tzu and his Art of War was beating me, but I can live with that. I am alive, he isn’t. Then the book went back to $4.99 and several of my real friends then decided to buy it, lecturing me that authors should get paid for their work. How many real friends do you have? Now came the hard part and the indeterminate and mysterious ingredient in publishing even the big publishing houses cannot predict, because no one knows. Does the book take off on it’s own? Does it gather momentum? Or does it lurk in the shadows waiting to be discovered or ignored by all the hungry readers out there in the digital universe? Joe sez: I'm always fascinated by why people want to write. I knew I was going to be a writer at an early age, about seven or eight. Wasn't sure what I'd write, or for whom, but I had a feeling I'd earn a living with my words. My key to writing success has been the same for many years. 1. Write when you can. Those who say "write every day" are either obsessive or bullshitters. Real life gets in the way sometimes. But you do need to make writing a priority, and be prepared to make some sacrifices if you want to have a career in this. 2. Finish what you start. Getting to "the end" isn't easy. Besides having a commitment to writing in general, you also have to be committed to your story. Don't have too many projects going at the same time without finishing one of them. 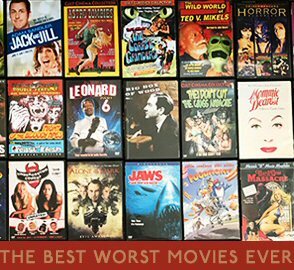 You can release ten books in ten years, but you'll make more money releasing one per year than releasing all ten at the same time on the tenth year. 3. Edit what you finish. Rewrite and edit until it's perfect. Enlist others to help you. Years ago I put together a crit sheet to give to people who read your writing. This can help you learn what you need to change in order to make your story better. There's a more detailed explanation in the A Newbie's Guide to Publishing ebook. 4. Self-publish. Even if your goal is to land an agent or a legacy deal, I see no reason not to self-publishing first. Indie books have become the new slushpile for NY professionals looking for the Next Big Thing. Just make sure what you self-publish is a great book with a great cover, great product description, at a reasonable price. 5. Repeat. The best promo for a good book is writing another good books. While I've seen that self-promotion can boost sales, don't spend more time on that than you do on writing. You're a writer first. You can be a marketer when your writing day is over, if you have any energy left. Writing is a lot like bar darts. You can get lucky the first time you every try it and nail a bullseye. But for most of us we need to keep at it, learn the game, and get better, before we can hang with the pros. Mixing metaphors, this is a marathon, not a sprint. The only thing keeping you from your eventual success is time. So use that time well.